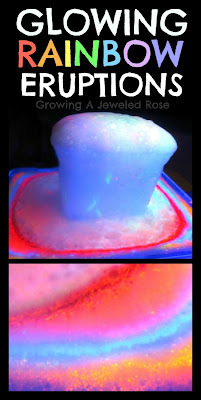 Making your own glow in the dark glue is so simple and there are so many FUN ways to use it. All you need to do is add a little glow in the dark paint to a bottle of regular glue and mix well. 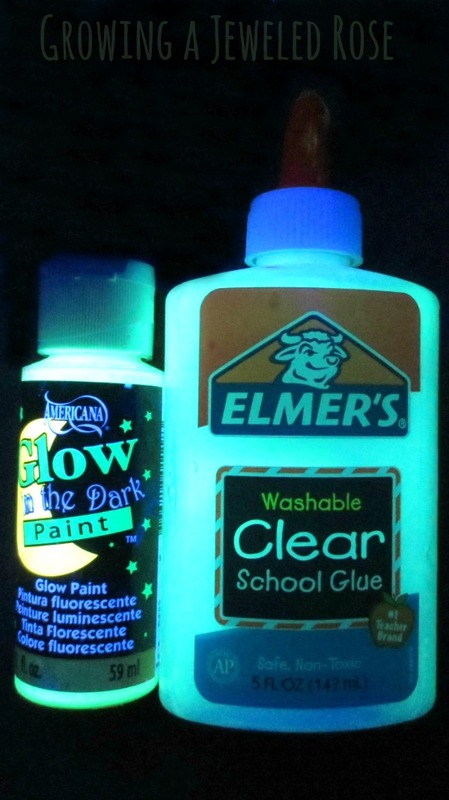 We got our glow in the dark paint at Walmart for $1, but you can also get it online. 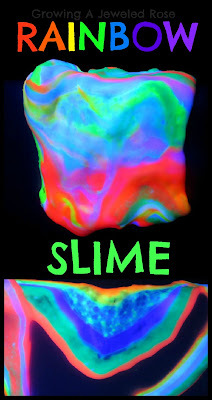 There are lots of fun ways for kids to use the paint, this glue being one of them. One way to PLAY with our glue that immediately came to mind was making glow in the dark window clings. 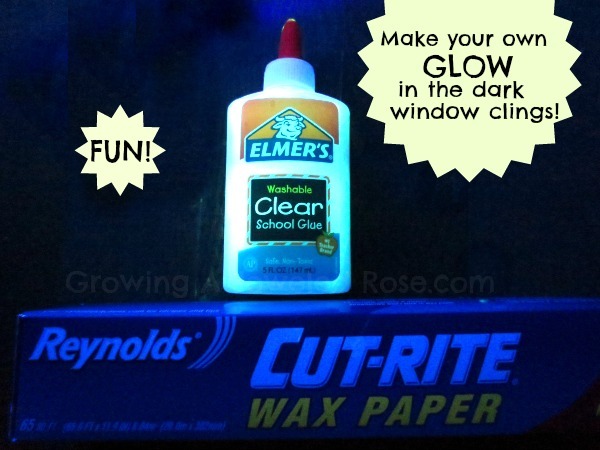 All you need to make your own window clings is wax paper and the glowing glue. 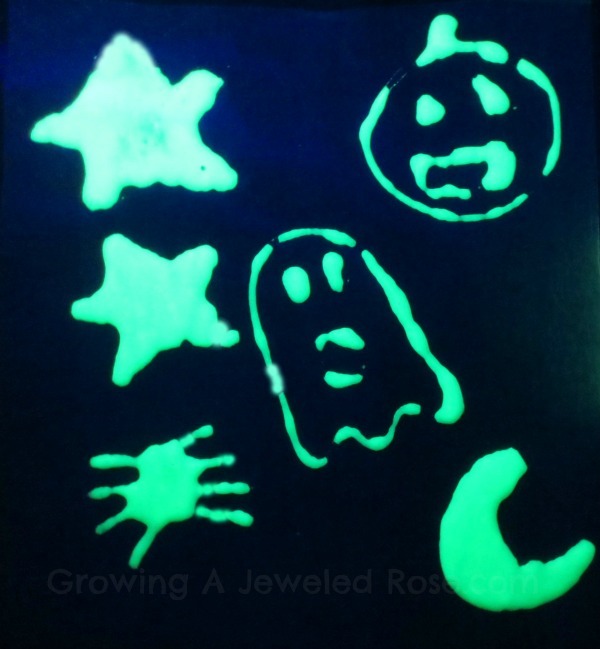 Since it is almost Halloween we made themed window clings but kids can make whatever they would like, and then hang their glowing art right in their window! 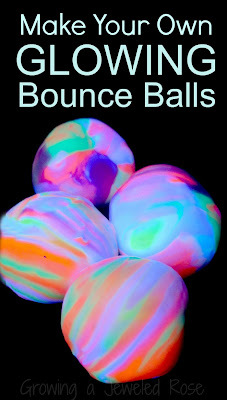 You could even make a set of glow in the dark space shapes to illuminate the windows. 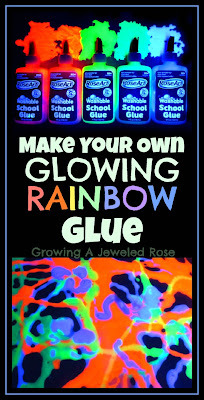 Update: We have also made RAINBOW glow glue- so FUN! 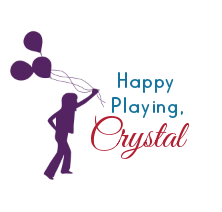 Click the photos below for more FUN ways to PLAY!